Sustainable Polymers – How Do You See ‘Green’? ‘Sustainable polymers’, ‘green polymers’ – however you refer to them, producing materials and products with the intention of causing minimal impact to our environment is perhaps the most prevalent discussion in our industry today. As a raw materials distributor and a technical resource, Plastribution see the importance of acknowledging and supporting both our suppliers and customers with their environmentally-friendly ambitions. We help our customers with material selection, product development and optimising processing efficiency to meet their environmental targets almost on a daily basis now. Through our experience, we’ve developed a good understanding of the challenges facing OEMs and moulders. We’ve learnt that being able to provide the right materials is key, so we’ve focused our efforts on speaking to new and current suppliers, understanding their sustainable product range and are developing a portfolio we can be proud of. 100% recycled LDPE, HDPE, PP for injection, extrusion and blow moulding. Recycled glass and mineral filled PP compounds with high strength, suitable for industrial and automotive applications. ‘Circular economy’ grades of HDPE and PP featuring high levels of recycled content without compromising physical properties. Bio-based, compostable PLA grades for moulding/producing film. Bio-degradable alternatives to Polypropylene that use as much as 60% bio-based feedstock. Compounds and masterbatches using fillers such as wood, hemp and natural fibres to reduce cost, improve selected properties and increase sustainable content. The broad variety of materials we have available sometimes makes selecting the right one a challenge. 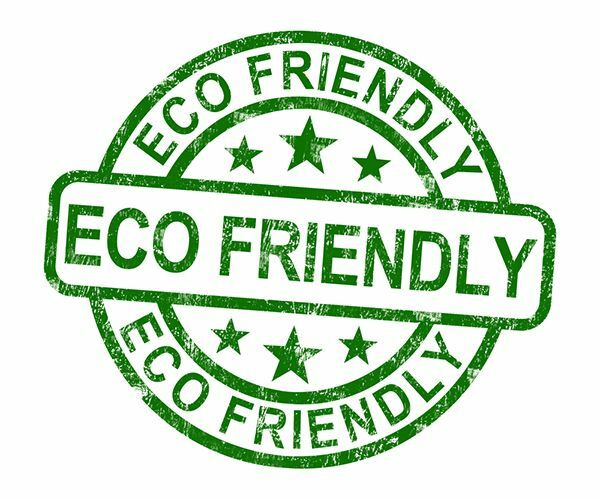 You’ll possibly find that when it comes to specifying this part of the project, your customer may request materials that have ‘green credentials’ or that are ‘environmentally friendly’. It’s important to understand their interpretation of these terms. For example, do they mean produced with a low carbon footprint? from renewable feedstock? Perhaps materials made with recycled content or that are bio-degradable? Unfortunately, there aren’t any materials that can tick every box in everyone’s sustainable checklist. There will always be trade-offs when it comes to properties, cost and what impact its use will have on the environment. Through asking the right questions and discussing expectations with your customer however, a compromise can often be met.